American Shooters is close to the strip area. 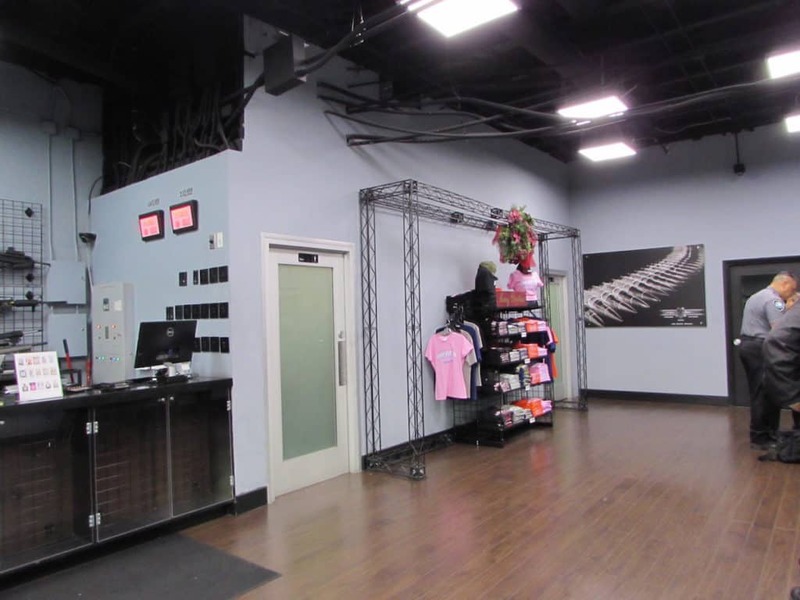 A very popular shooting range for gun enthusiasts in town and those visiting. http://americanshooters.com located on Arville just north of Spring Mountain. 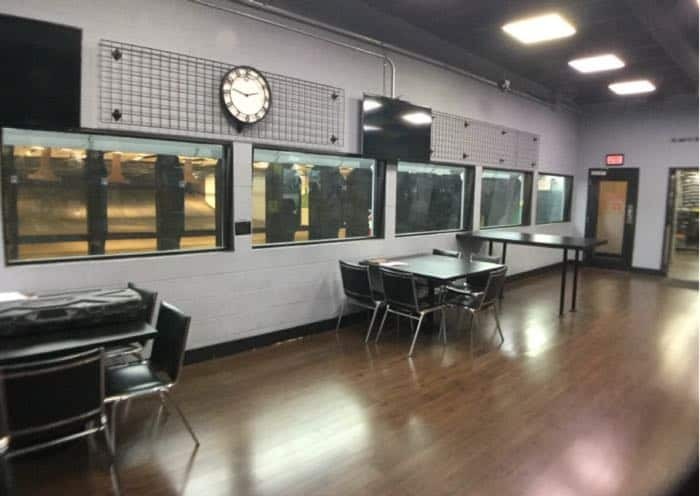 The area is open to many commercial venues; banks, restaurants, and may shops and Remodeling this shooting range was certainly a fun project for all those involved. 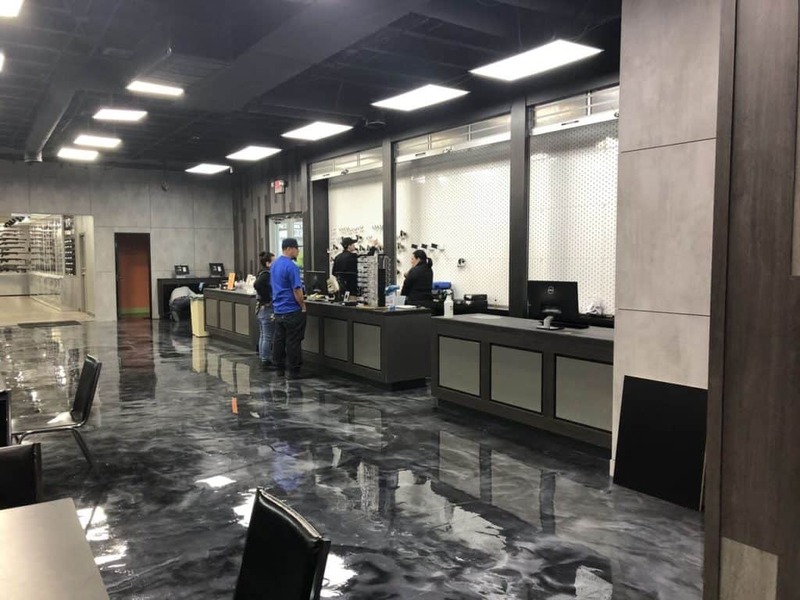 The Shooting Range has been in the same building for a number of years and it was due for a remodel. 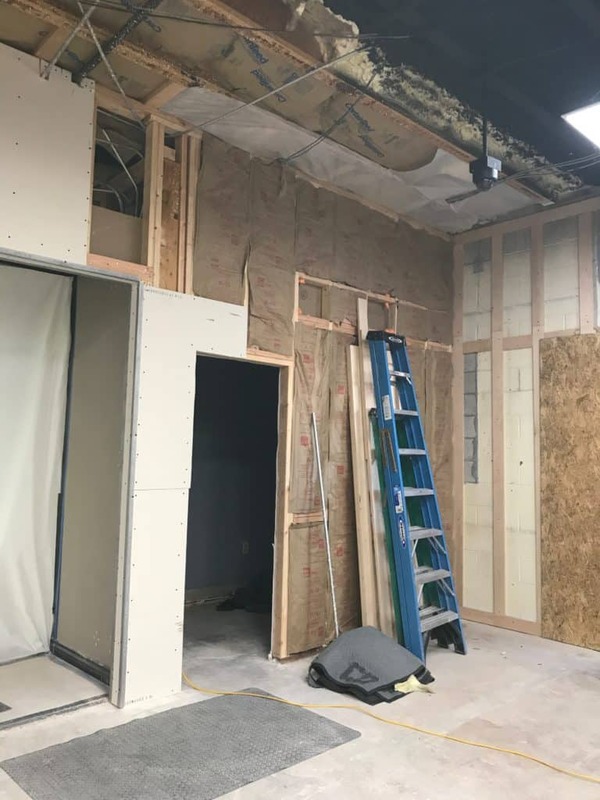 The first pictures will show the Gun range as it used to be prior to the remodel, then The next set of pictures will show the progress of work by all the subcontractors involved; From the demo crew to the cabinetry experts. 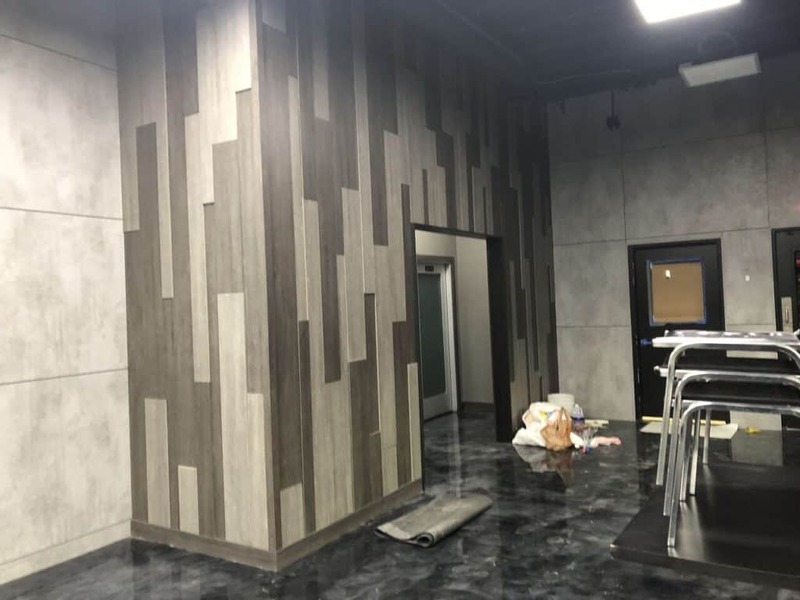 The last set of pictures will show the finished walls, reception areas and new bathrooms and Pay special attention to the epoxy floors. These certainly add a great vibrant look to American Shooters. 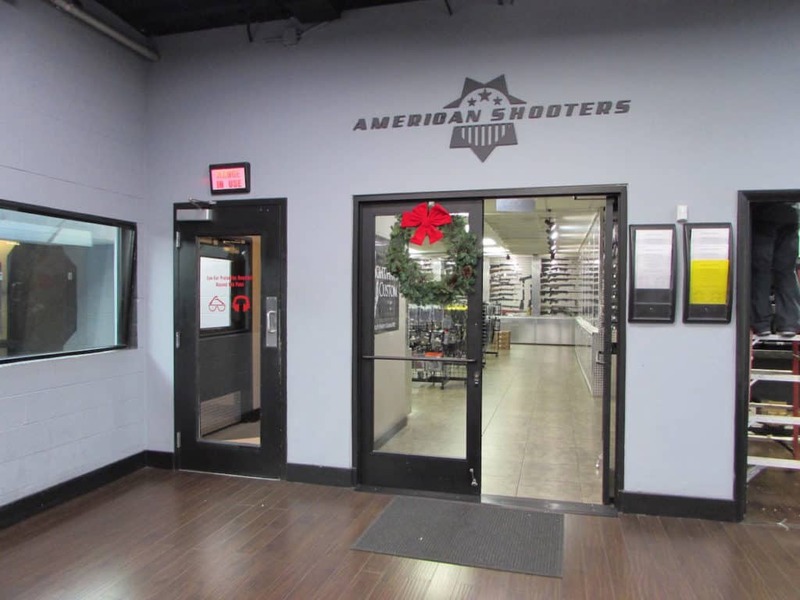 The entry into American Shooters range is on Arville St. As you enter, the reception area is on the left side. To the right and through the windows you can see both ranges while there are other doors that lead you into the range as well as into the store retail area. 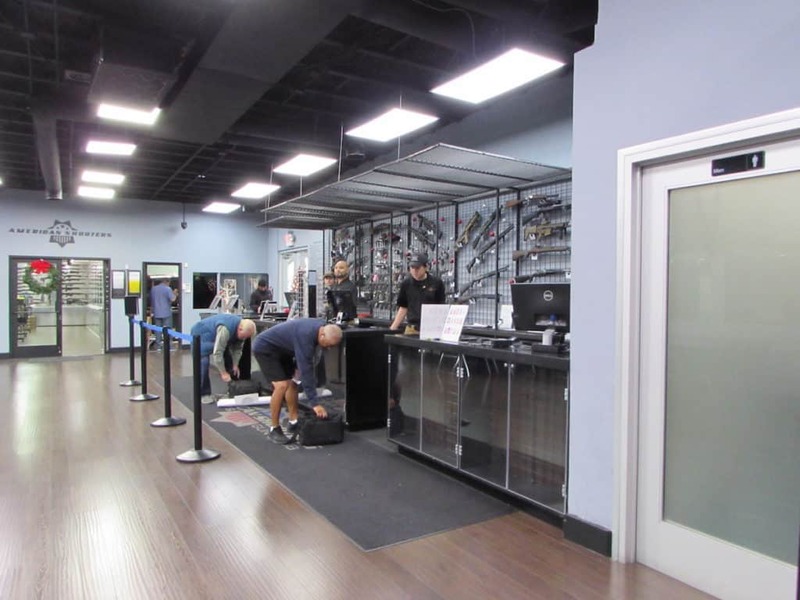 The reception desk showcases many types of guns that can be tried out at the range. 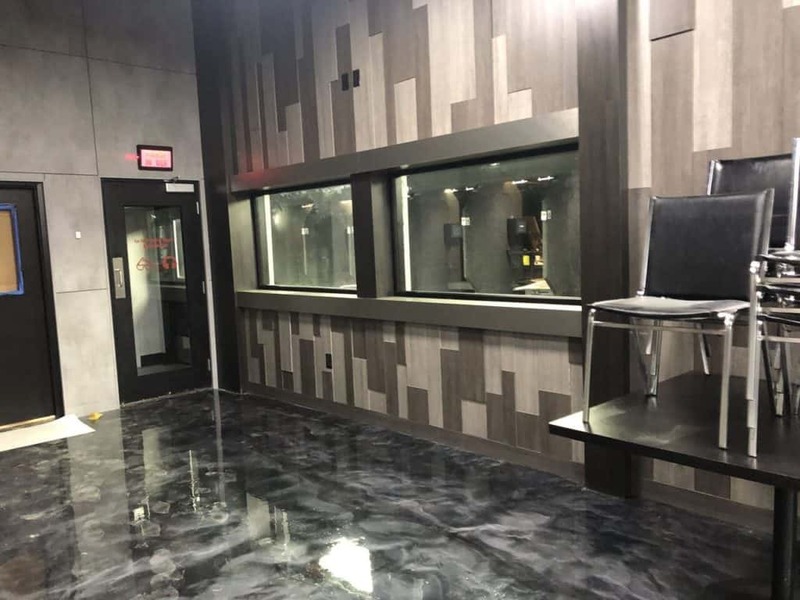 The owner of American Shooter wanted a complete new look to the reception area; with a modern look or something that you might see while walking into one of the newer casinos. This project only took 20 days to execute. When a business closes its doors, each day is a day that revenue is not coming in so timing was essential. We pride ourselves in staying on schedule and working with all subcontractors involved in an efficient way to get the job done. The first step into any interior remodel is removing any and all items that stand in the way of remodel. Owners decide on what elements of building or place remain. Any features that stay get protected, removed, and or stored for re-installment, Otherwise everything else gets thrown away. Carpets, tile, or any type of flooring are completely removed and or prepared for the next type of new flooring. 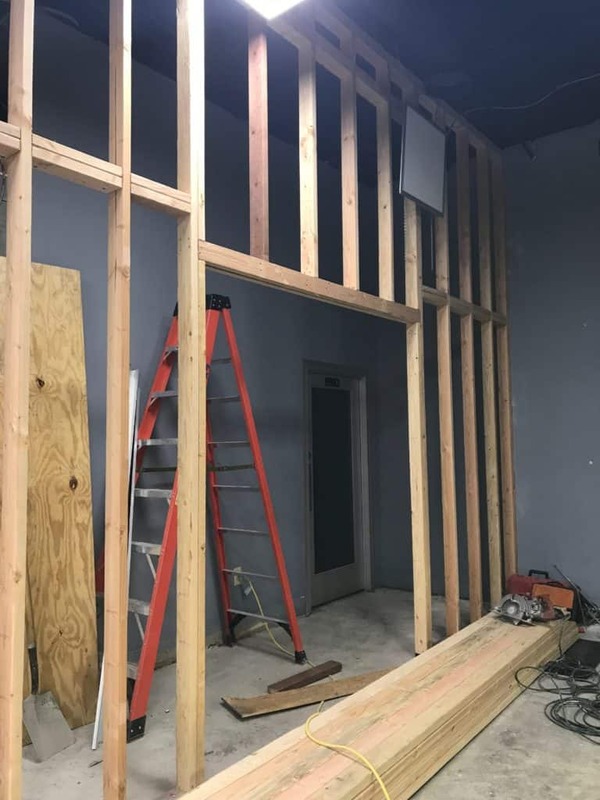 On this project, we had to build up some new walls; One that enclosed the bathrooms into an exclusive area, a second wall that was moved three feet back to allow for the creation of a new compact computer desk area. A third area was to furr out a wall along the shooting range. This would also help with noise coming from inside range. 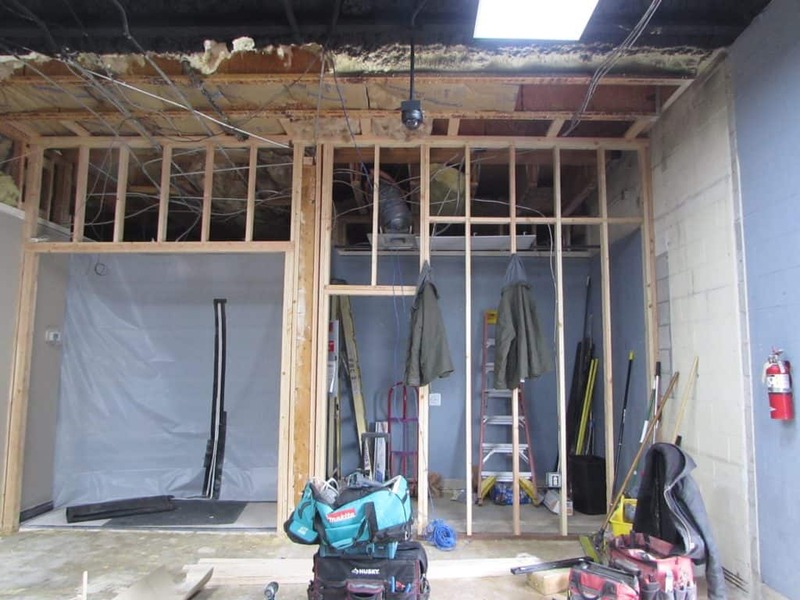 The picture below shows the new wall that has been placed 3 feet back from original location. 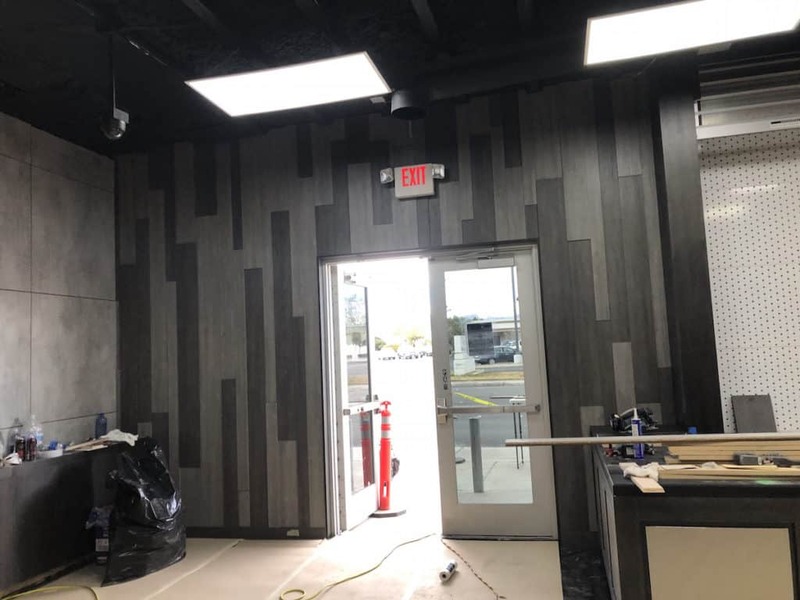 The front part of wall and now closest to the door will allow for a desk with monitors for check in. 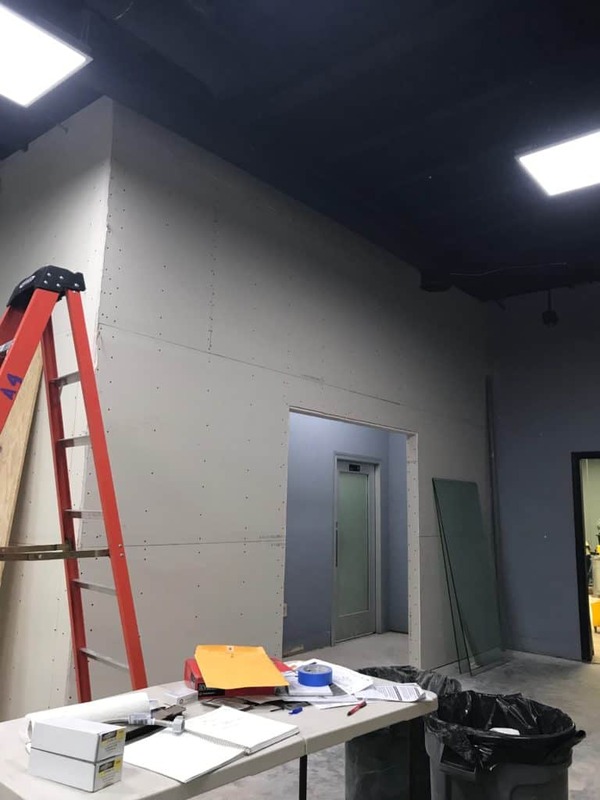 Rather than block walls just painted, the new walls will have a series of panels in different thicknesses as a finished surface. This will give the place a more modern look. 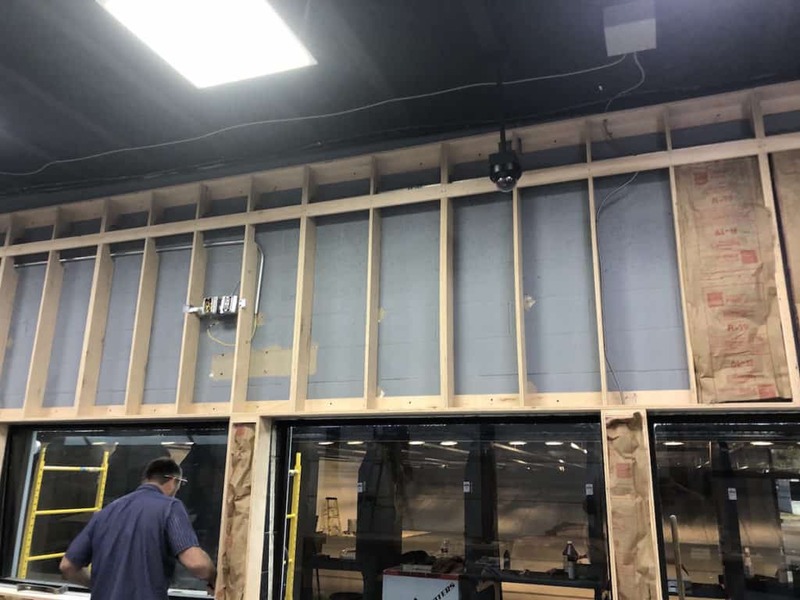 The same wall as above with insulation and drywall. The next picture shows the long wall – looking into the range, with it’s new furred out face. 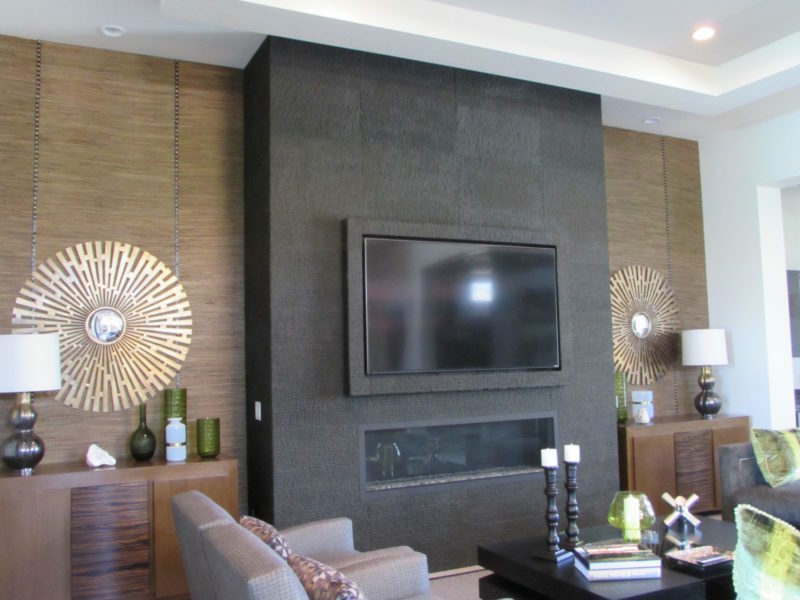 This was accomplished by using millwork material extending out about 6″ in length. 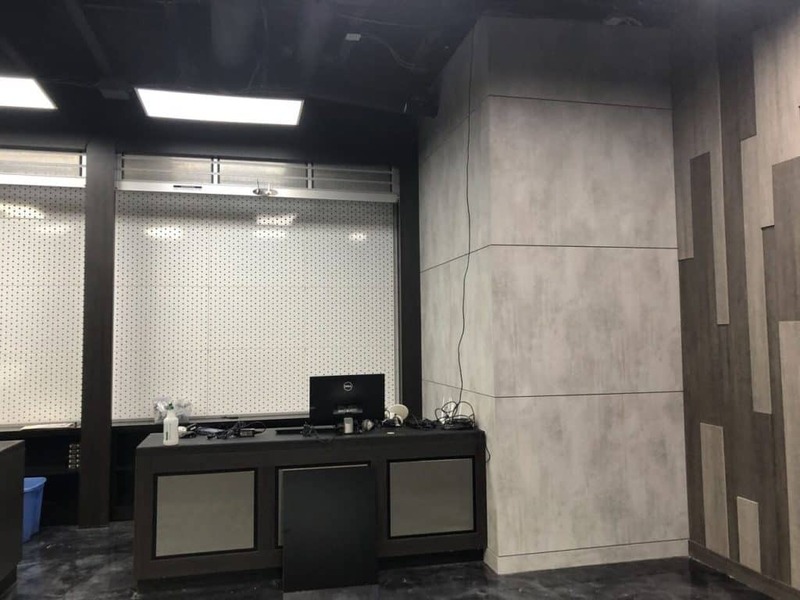 All cavities will be filled with insulation to minimize any noise coming from the range while the reception area showcases and invites its patrons. 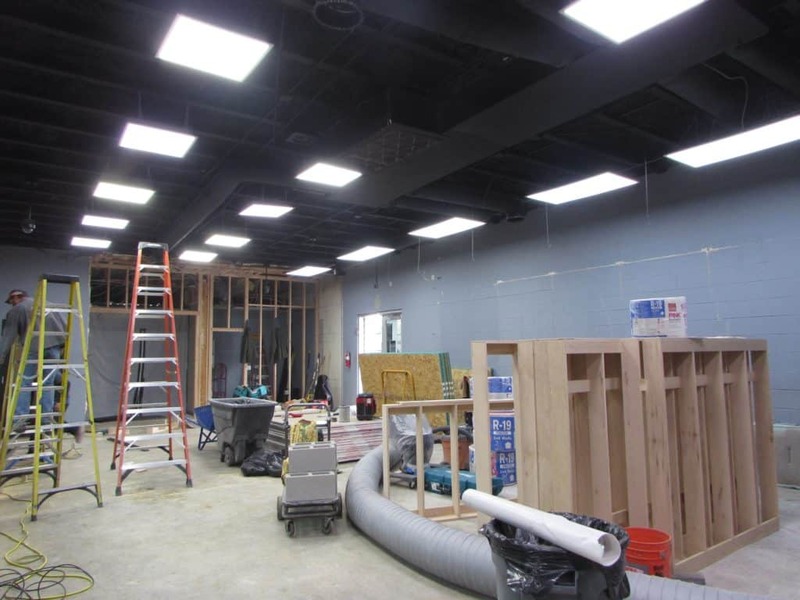 The next picture shows the bathroom area – with two entrances. A new wall was added at the front of this wall to allow for more privacy into bathrooms. This wall will also get the multi-paneled finish. We pride ourselves on excellent craftsmanship and superior service. Please complete this form and we will contact you to discuss how we might help you with your project. We look forward to speaking with you shortly. Give us a little information about your project and how you think we might be able to help you.